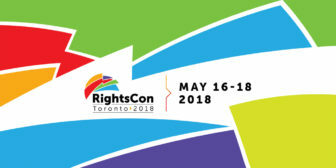 While planning for RightsCon Tunis 2019 is well underway, we want to celebrate with you the many achievements of RightsCon Toronto. Check out video highlights and the official outcomes report here. We’re grateful you joined us for RightsCon Toronto. Here’s a look at some of what our community achieved this year, and what’s ahead for 2019. Global human rights organisations Amnesty International and Access Now launched a declaration on human rights and artificial intelligence at the opening of RightsCon 2018. We’re excited to welcome your participation in RightsCon Toronto on May 16-18, whether in person or online! Through our survey with RIWI, we aim to help the RightsCon community better understand public sentiment toward issues that are central to our work on human rights in the digital age. 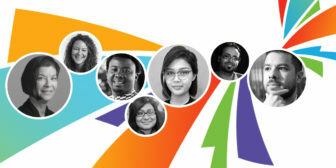 With so many amazing sessions to choose from, we wanted to take a moment to recognize the contribution that Access Now grantees are making to the program and to the RightsCon community. Entre las numerosas presentaciones de RightsCon, se incluirá una variedad de paneles que tendrán como eje a América Latina y las distintas problemáticas que afectan a la región. Think of this post as your RightsCon Toronto cheat sheet. Everyone’s RightsCon experience will be different — tailored to their work and interests. Here’s how to make it work for you. Technology is changing our relationship to privacy and other human rights. In the lead-up to RightsCon Toronto, we look at issues that Canadians are now facing.